Quality furniture doesn’t come cheap, but it’s worth every penny when you make the right purchase. There’s no sense in investing in high-end couches or bar stools if they’re not going to last. Not to mention, it’s a waste of time to fall in love with something in the store only to realize it doesn’t match anything in your home. These are just a few of the reasons why you need to know how to find the right furniture. 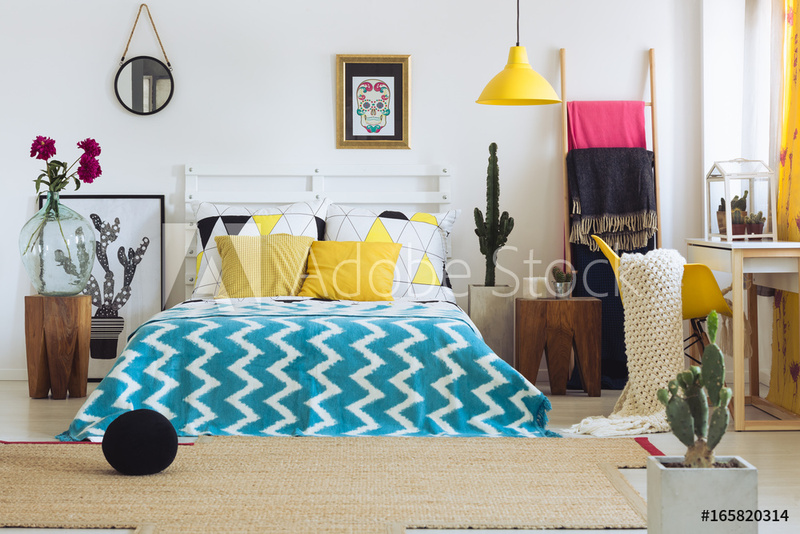 Whether you’re looking for an accent piece in the living room or an entirely new set for the bedroom, it helps to have a good understanding of the buying process. This is especially true for luxury pieces with a high price tag. To find the most beautiful pieces for your home with the value to match, follow the steps below. The first thing you notice when you walk into a room is the way it looks. All the decor should complement each other and create a certain feeling. There should also be a sense of consistency between the design of one room and the next throughout the house. But, there’s more to furniture shopping than aesthetics. You have to think about the function each piece serves, too. For example, think about how long you’d like a new couch to last. Consider the maintenance it will need and the kind of support it offers you when you sit down. Same goes for new dining seats or high-top stools. Everything from the ottoman in your reading nook to the dresser in the guest room needs to please the eyes and, more importantly, fulfill a certain need. It’s one thing to sit on a couch for a few seconds and see how it feels, and another to notice the materials it’s made of and the texture of the fabric. These may seem like minor details. But, they really make or break whether or not a certain piece of furniture is right for you. Every detail matters, no matter what kind of furniture you’re buying. Think about how high a bed set is off the ground and how you’re going to fit a big armchair through your front door. Notice the coating on wood furniture and the attention to detail in any embroidered items or intricate stitching. The more you consider such things now, the longer your quality furniture will last. Last but not least, don’t rush the process. There are plenty of reputable brands that offer a great level of furniture quality. Each of them has their own style to offer and a unique way of sourcing and manufacturing their pieces. It’s worth exploring your options between a few brands and looking at many of their collections. This way, you can be sure your new piece of furniture is exactly what you’ve been looking for. Instead of making an impulsive decision, you will have done all the research necessary to find the perfect furniture item. From the kitchen to the master bedroom and bathroom, there’s something about having quality furniture that really makes you feel at home. When you find the couch you’ve been dreaming of or the new dining set you didn’t know you needed, the whole house feels a little more comfortable and inviting. For all your high-quality furniture needs, contact Rainbow Furniture. Click here to learn a little more about us and everything we can offer you. There’s no need to settle for the item that’s almost perfect for your space. Whether you own or rent your home, making it yours is so important. 36.6% of Americans are renting, and settling for furniture that is cheapest. And homeowners struggle to find pieces that feel completely unique to them. Custom furniture design will not only allow you to make your perfect piece for your home. It will also help you create a piece that’s completely unique to you. We’ve got 3 custom furniture design tips to consider so you end up with the best piece for your home. There’s nothing worse than realizing your new furniture won’t actually even make it in the door. Measuring out the dimensions of the room your piece will be in is pretty obvious. But remembering to measure your entryways don’t always come to mind. Once you’ve decided what dimensions would work for the room you’re designing for, take a few moments to measure the dimensions of any entryways your piece will have to fit through. This will help you find the perfect size for your home. And avoid a huge letdown once your piece arrives. You may be dreaming of a Moroccan inspired look. But make sure it still goes with what you already own. If most of your pieces have a pretty modern feel to them, make sure you incorporate that in your custom furniture design. This can even be found in the smallest details. For example, the material the legs are made out of or even the accents of nailheads. You can take a traditionally shaped piece and bring it into a modern feel by considering these small but impactful accents. Upholstery takes a piece from neutral to the accent of the room. But don’t forget about how your custom furniture will be used. The great thing about customizable furniture is you can find upholstery that works with your style and your life. So if you have pets that will most likely sneak onto this new couch or chair, consider a fabric that you can clean easily. For tables, consider what look you want and then find materials that wear well. For example, certain woods are more delicate and tougher to clean than a marble top. If you know this piece will be lightly used, you can go with materials that may be more delicate. But be sure that it’s something you know you’ll love for years to come. These 3 custom furniture design tips are sure to help you make a piece that you’ll love. No matter what kind of space you’re designing for, making something that meets all of your needs is so important for making your house a home. If you’re ready to get designing, contact us. With our many options for customizing and designing pieces, we will be able to help you end up with a piece that’s perfect for and unique to you. Are you a remote worker who gets too distracted by the fridge? Or maybe your dog’s got his puppy-eyes down pat, and you can’t help but break to take him for three walks a day. If this sounds like you, it’s time to take that spare room and turn it into your home office. Spare rooms can make for a tricky home office setup, but with the right furniture, you can make it work. Keep reading for the best tips on setting up your home office layout to maximize your space and minimize your distractions. Don’t have a lot of extra space for office storage? With a little creative thinking, that can be okay. Buy home office furniture that kills two birds with one stone. Instead of dedicating an entire corner to a filing cabinet, find a bookshelf with drawers beneath and store your important documents there. Storage desks are also an excellent option– they have enough space for your legs while still housing big drawers on either side. The name of the game here is to buy furniture that serves more than one function. Try to avoid single-use items, like printer carts and filing cabinets, in favor of furniture that offers more bang for your buck. This might sound like a no-brainer, but you’d be surprised how many remote workers are content to merely shove a desk into their spare room and call it an office. 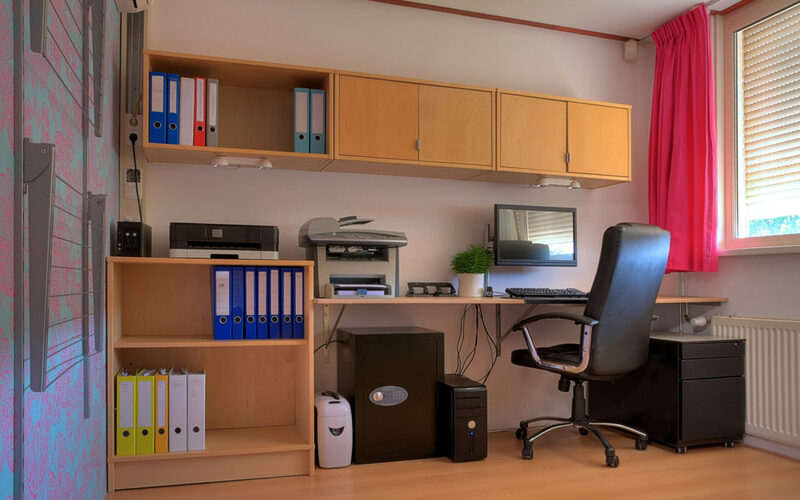 Take some time to actually plan the layout of the office on paper before you start setting up a home office. This is especially important when you’ve got a tricky space that really needs some extra thought to maximize the space. Consider an alternative home office setup, like placing your desk in the middle of the room with open shelving behind you. Pushing the desk up against a window will give you a great view of the outdoors, too. Studies have shown that looking at nature increases focus. The best way to make your space feel cramped and cluttered? Fill it with big, bulky furniture. If your space is small, it only makes sense that your furniture should be, too. It can be tempting to buy a big, beautiful armoire and L-shaped desk, but that type of furniture will only make your space harder to figure out. Stick to simple furniture that’s on the smaller side. After you’ve planned your layout, determine a maximum dimension size for all your pieces before purchasing. That way, you know what you’re working with before you impulsively buy something you’ll regret. When it comes to storage, consider some open shelving to avoid bulk, too. A pro for open shelving is that you can add green houseplants, framed photos, and other decorative items to offset less-than-aesthetic files and folders. Ready to turn your home office layout dreams into reality with some quality furniture? Check us out, and get in touch. We offer free interior design services to help you plan your tricky space, and free furniture delivery to make the install easier than ever! It’s no doubt that we all want to live healthier lives. We try to eat better, get exercise, and plenty of sleep. But what if there was an easier way to be healthy without much effort? And it involves those we love and are close to. Eating at a table can lead us to live a healthier lifestyle. After a long day of work or school, you can sit down to the faces you love to see every day and enjoy a good homecooked meal. Even if your days consist of a busy schedule, there’s always time for friends and family. That’s why we’ll introduce you to finding the best dining table, even if you have a small home. It’ll be so inviting that everyone in your family will look forward to sitting at it every night. The first step before buying a new piece of furniture is to measure the area where it’s going. There’s nothing more frustrating than buying a grand dining room table to have it not fit through the doorway. To avoid that stress, measure the room it’s going in first. Be sure to include enough space between the table and your other furniture in that room. And of course, don’t forget to measure the doorway. If you’re wanting an expandable table, account for that extra space it’ll have when it’s extended. 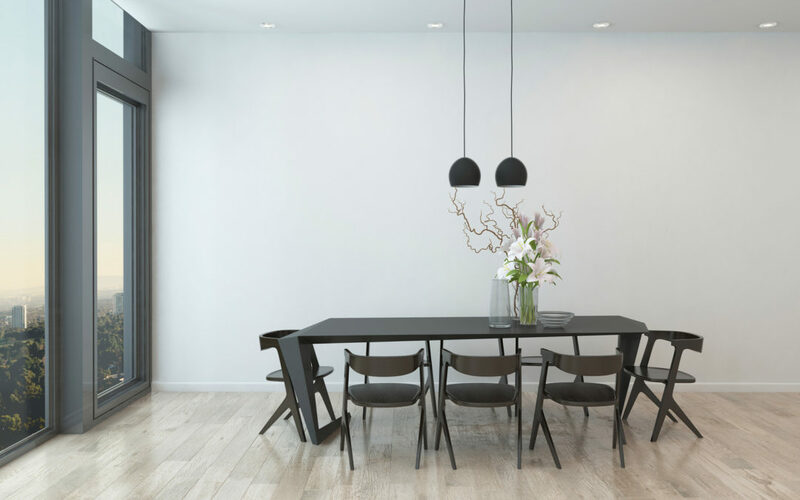 Shapes are vital when it comes to finding a dining room table, especially if your house doesn’t have the ideal square footage for one. For rooms that are smaller than the traditional dining room or you don’t have an open concept, opt for a round table. This way, everyone can be seated comfortably without feeling squished. Narrow rooms require a rectangle shaped table. Everyone will be able to move about the room without bumping into furniture. Worried that you can’t sit the right amount of people at your table? Whether it’s the family or you’re hosting a big gathering of friends, benches are the way to go. They save space by being able to be tucked underneath the table. And plus, you won’t have to worry about someone feeling ousted because there isn’t a chair for them. Obviously, you want your table to last for years to come. That’s why it’s vital to choose the correct materials. Doing so will ensure your table can last when tested against spills and accidental knife cuts. The most common materials you can find on the market today include wood, veneer, glass, and plywood. For durability, go for wood. It’ll stand up to the wear and tear over time and those scratches and dents will only add character. No matter the size of your space, you can find a table that’ll fit your aesthetic and the room itself. Provided you abide by the tips given in this article, you’ll find the best dining table as soon as today. With that said, come visit us at our furniture store in Fort Wayne to view our small space dining room tables and all the furniture your home needs! 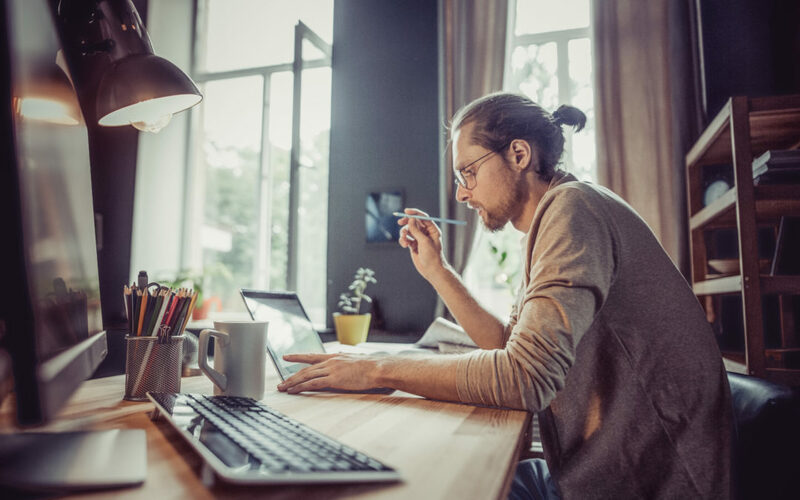 Are you starting a new business or working from home? The work environment you create may have a bigger impact than you think. Beauty and functionality go hand in hand, but you don’t have to pay a fortune to create a comfortable setting. However, you’re going to spend a lot of time there, so you need to make it right. Some self-employed professionals can work just about anywhere. But even these business leaders need a comfortable space at home. The lighting, furniture, and mood of your space will play a role in how you work and feel. Consider these home office ideas as you take off in your new role. We’ve identified the five critical areas for home office design. Invest in yourself and your work. Your business is only as good as the environment that surrounds it. Select a space that is separate from your personal life. If you don’t have a whole room, choose a cozy corner. Utilize the whole space as you scope out your equipment. Choosing one space isn’t just about consistency. You must create an environment that creates the right mindset. You’ll need to claim that space for a tax write-off as well. Technology investments should be long-term solutions. Don’t buy tools that will disappoint and look ugly. You’ll be using them and looking at them every single day. It’s a good idea to choose your technology before furniture. You can ensure furniture can store these necessary tools. But buy ergonomic tools that will allow you a variety of furniture selections. Finally, make space for future technology investments. You may need a second monitor or better audio systems later. Create a list of tools and select the right furniture from there. Business owners need space and resources to succeed. If you’re working remotely, you need to make up for a formal office setting. And you want to be comfortable while you focus on results. Go for a spacious and sturdy desk. Your chair should be ergonomic and comfortable to sit in for a full day of work. Your biggest furniture spends should be on these two items. You will need shelves, filing cabinets, and other practical resources. Again, be sure your furniture supports electronics and equipment you’ll use. You don’t want to be stuck with a printer on the floor. Functional items can also be beautiful. But true aesthetic items are about aesthetics alone. Your wall colors, windows, and lighting make a difference. Floor plants clean the air in the space you’ll use most. Choose items that you find most appealing day after day. Plants that require little care are conducive to your focus. Cables from electronics, printer paper, and writing utensils can clutter up your space. Develop creative solutions to keep them in check. Take these items into consideration when buying your furniture as well. Setting up your office is a critical step in your business. Companies pay millions to set up their offices correctly. Make the right decisions now for long-term work satisfaction down the line. Rainbow Furniture in Fort Wayne specializes in custom, American-made home office furniture. We offer quality furniture right off the floor or let us help you custom design a piece to fit your style and space. Contact us to learn more about what our experts can do for you. It’s the best investment you can make as you move your business forward. Your bedroom is your sanctuary, and the way you design it has a huge effect on how easy you find it to relax at the end of the day. A well-designed bedroom is a place to refresh and recharge your mind and body, and the right furniture makes all the difference. If you’re considering investing in some custom bedroom furniture but don’t know where to start, you’re in the right place. Keep reading to get inspired by the latest bedroom furniture trends. Four-post beds aren’t just for old-fashioned mansions – they’re also a great choice for any modern bedroom. If you’ve got a large room and want to turn the bed into a striking centerpiece, choosing a four-post is a great choice. Opt for a simple frame if you want the room to look modern and classy, or choose a style with drapes and curtains for a really luxurious, cozy feel. Geometric shapes and patterns are seriously in right now, and so are industrial materials like metal. Instead of a classic lampshade, why not choose one made of shaped metal? Or opt for an end table that’s more like a piece of modern art than a place to put your coffee? Metal structures are a great way to add a modern touch to a room that’s lacking character. Say goodbye to plain old end tables, and hello to unique tables that make their own statement. You could repurpose an old chair into a table, have a custom table made and engraved according to your design, or choose a table made of a natural material, like wicker. End tables have so much potential that there’s no reason to settle for something dull. Darker woods are the best way to quickly add a touch of class to any bedroom, and they’re really popular right now. Whether you choose chestnut, mahogany or a dark cherry, you can be sure that guests will be impressed by the gleaming finish of your bedroom furnishings. For a cohesive look, make sure that your bed, dresser, wardrobe and end table all match. If you want something a little more bohemian, don’t be afraid to mix and match different woods. Dark wood works in almost every bedroom, so be sure to consider it. Is anything worse than a bedroom that looks messy and cluttered? We don’t think so. Luckily, a key trend in custom bedroom furniture is here to help. Fitted storage systems make the most of your existing space and maximize your storage options. That means clothes, shoes, bedding, and other items will be completely out of sight, and you won’t have any large dressers or drawers getting in the way. Investing in custom bedroom furniture is the best way to create the bedroom of your dreams. Make the right choice by assessing your needs, creating mood boards, and shopping around for inspiration. Want to start browsing? Visit us online today. Whether you know it or not, when you walk into a room, a room’s focal point is the first thing you notice. It is one of the most important elements in interior design. It is the point around which you should design the rest of your space. It influences the arrangement of your furniture and takes the focus off other features of the room that you may not want to be highlighted. A successful focal spot will not only draw you in but will also set the tone and mood of the entire space. Read on to learn about how to set up and define the best point in any room. Most rooms fall into two categories: ones that already have a built-in focal point and those that do not. Ideally, the rooms of your home already have a focus point built-in. Windows are an easy and great option to use as a focal point for any room. If there is a great view to look at outside of the window, even better. 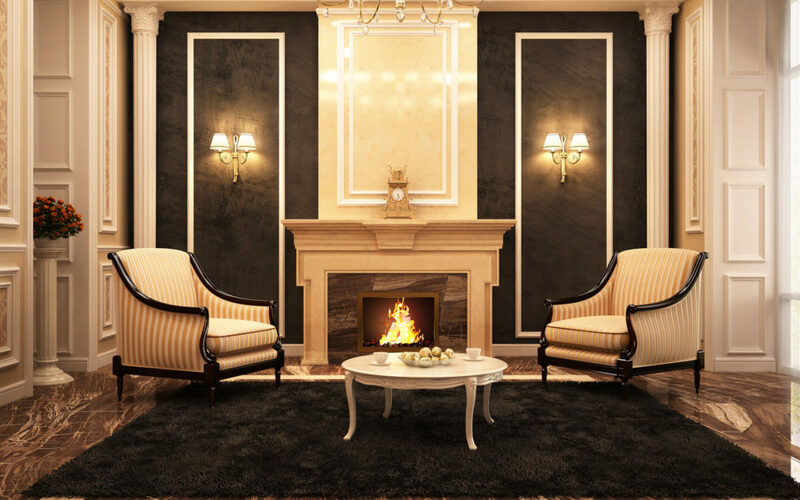 Fireplaces are also a great option to design around and ground the room. A great idea is to design seating options around it, which will also naturally highlight the fireplace. Ceilings often times go underappreciated. 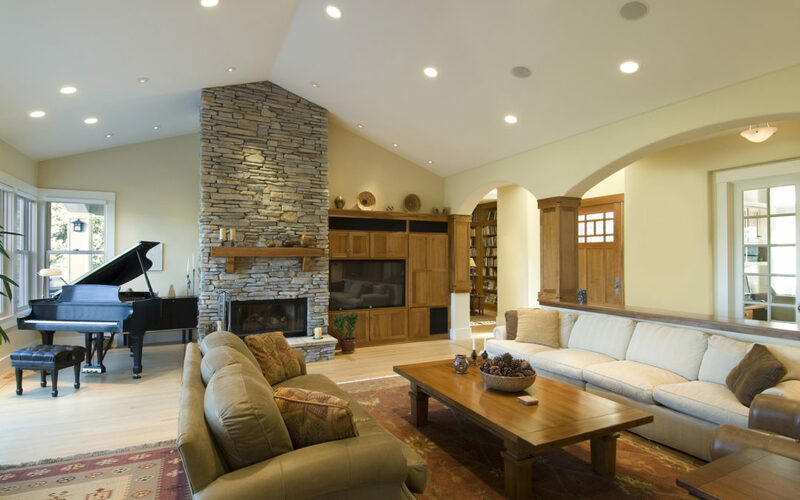 If you are lucky enough to have gorgeous vaulted or high ceilings, it could be a great choice for a focus point. While they don’t seem to require much when it comes to design, make sure they have a great paint color and light fixtures to highlight. If your room falls into the second category of not having built-in features to highlight, then you may have to create your own. While this does take a bit more effort, it can be quite simple once you decide what you want to do. There are many options to choose from, so just pick the one that suits your style and space the best. Consider an accent wall to use as a focal point. An accent wall is a great and simple option to bring the design of a room together. Use a bold color or patterned wallpaper to really create a design statement. A great piece of artwork or mirror can really bring a room together. Make sure the piece you choose is an appropriate and proportionate size to the wall it is mounted. If possible, also consider accent lighting to highlight the piece. A great piece of statement furniture can also serve as a fine focal point. For rooms like a bedroom or dining room, there is an obvious choice for these pieces. Make sure you accent them properly with pillows and throws to complete the look. Ready to Design Your Perfect Room? Picking a focal point is one of the most important parts of bringing any space together. This spot is the first thing people see when they enter a room. Many times, this point is already something that is built-in to your space. If not, there are many simple ways to create one of your own. Check us out for more information on how we can help you design your dream space! With the turn of the seasons comes exciting new trends. As the weather begins to warm up, it’s time to soak up that healthy sunshine. It’s also time to jazz up our homes and rid ourselves of the last tendrils of winter. Take some inspiration from these beautiful home design ideas to get the perfect look this upcoming summer. Metallics make all home design ideas both striking and gorgeous. The way they shimmer in the light brings a certain richness to any design. Even the most simplistic of designs can be upgraded with metallics. For this upcoming summer, gold is the way to go. The best way to add gold to your home is by using it as an accent. Too much and it could begin to look gaudy and overdone. This year is all about clean lines and shapes. That’s why industrial-styled furniture is the next big thing this summer. It combined simplistic beauty with functionality. Often the style mixed warm brown wood with the striking rustic feel of dark metals. It’s a style that will look great in any home office or living room. Make sure you take proper care of the wood to make it last for years to come. To accentuate the idea of clean lines this summer is the focus on geometric shapes and patterns. Big and bold tiles in the shape of an octagon could look stunning in your bathroom. Chairs with a triangular shape make a striking statement in your dining room. Have fun mixing and matching different shapes together to get the best effect. Although not traditionally thought of as a piece of furniture, plants are an important part of any household. Not only do they help to boost your mood, they also bring pops of color and vibrancy to all home design ideas. This summer, bigger means better. Go for large plants that are full of interesting shapes. Ones that make you think of the warm tropics with their stunning colors and fun aromatics. You can never have too many plants bringing calming life to your home, so have fun picking out as many as you want. It’s the trendy thing to do. Few things are as luxurious as velvet. With its creamy smooth feel under your fingers, you feel pampered just looking at it. Couches and chairs covered in velvet are a classy choice this summer. They add a bit of shine to your room, making it look rich in the process. If you’re wanting to splurge on some new furniture, this timeless choice deserves a second look. It doesn’t take much for your home to get a whole new feel to it. Rearrange your furniture. Bring in something new. Your home will feel invigorated with sparkling energy. With the help of these design ideas, you’ll be certain that your home will be ready when summer finally comes around. Ready to start looking for some summery furniture? Contact us today to learn more! Are you looking for new furniture that is budget friendly and will last for a long time? Good news, you can have both. 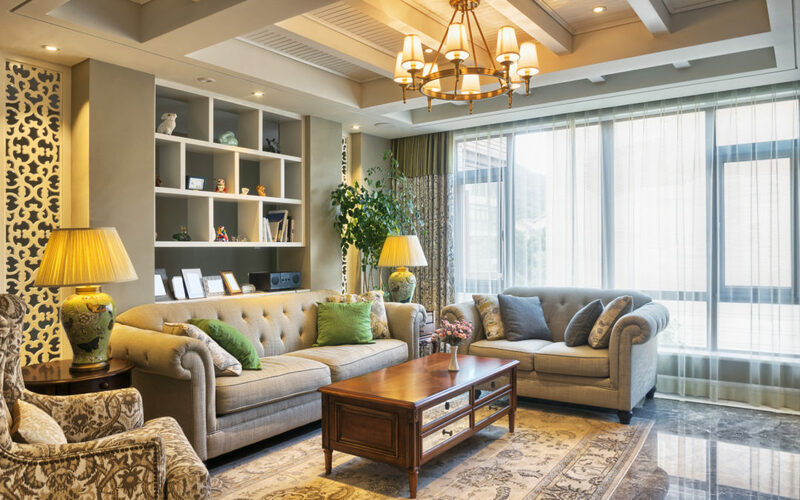 Quality furniture looks nice in a room, and it can save you more money in the long run. Read on for reasons why you should buy quality and durable furniture. Quality furniture is not only visually appealing, but it’s also carefully crafted. The materials used make the furniture more resistant to wear and tear. You will notice it in the stitching and quality of accent material such as the wood and metal details. When you compromise on a cheaper and lower-quality piece of furniture, you run the risk of having to replace it more often. Not only is it more expensive to keep doing this, but you also save time not having to constantly furniture shop. Ask yourself, do you want to replace your furniture every few years? Can you live with the risk of wear and tear associated with poor quality pieces of furniture? You could have the best paint, wall and floor finishes, and expensive curtains, but if you don’t have a quality piece of furniture the room might not come together. However, if you have a quality piece of furniture it will make a statement in a room and people might overlook if you have a few flaws in the paint. Your guests will pay more attention to how great and durable your couch looks and will ask you where you bought it. The right furniture can help you save money by bringing the room together so you don’t have to spend money on trying to make everything in the room perfect. With so many decorating trends, it could be difficult to find a timeless piece that doesn’t go out of style. However, worry not because quality furniture never goes out of style. With a quality piece of furniture, you avoid replacing it every time a new trend hits the world of interior design. If anything, all you have to do is add some accent pieces and you’re back in style again. Quality pieces allow you to change the look of a room without having to change everything. A generic piece of furniture is often bought due to its utility. A quality piece of furniture is not only functional, but it also matches your personality. Whether you like beautiful leather, luxurious fabrics, and quality wood, it will match your personality. When you get the piece of furniture that best matches you, you’ll have a less strong desire to change it. Ready to Invest in Quality Furniture? Buying quality furniture will add personality to your rooms and give you more options to decorate. Also, quality pieces last longer and save you money in the long run. Need help finding the best furniture out there? Look no further. At Rainbow Furniture Fort Wayne, we have high-quality pieces from top American Manufacturers. Click here to see our furniture collection. Owning a home is about more than just having a place to live. Your home is a reflection of you. For a home to be as unique as you are, custom furniture is a must. Your house can have all the right lighting, flooring, and walls – but what is it without furniture? Furniture serves an obvious function. Chairs and couches provide seating for you and guests. Tables give you someplace to eat, or simply put down paperwork. Your bed is probably where you spend the most time in the 24 hours of your day. All of these items are necessary to our daily living, but that doesn’t mean they have to be standard. How Is Custom Furniture Different? Custom furniture is a lot like custom clothing – it just fits better. If you’ve ever had a suit or dress tailored before a special occasion, you know what a difference a few alterations can make. When you have a specific space in your home, you need furniture that will fit that space. Unless you’re building a house from scratch, it’s impractical to try to make a room fit a piece of furniture. With custom furniture, you have control over the form, fit, and function of each piece. Once you know the measurements of your room, you can work with a designer to come up with the best size furniture to fit. And if you want a piece that serves multiple purposes, you can design around that, too. This works especially well in smaller spaces – luxury has no limit! Sofas and chairs that can be transitioned to beds are often popular with people who frequently entertain guests. Similarly, storage benches and ottomans provide extra seating while providing a place to stash away clutter. Designing furniture is all about knowing how you plan to use your space. Another benefit of custom design is you have greater oversight over the production process. Working with an American made furniture distributor means you’re assured of high quality and service. You’ll have a greater say over the materials used, which has multiple advantages. Not only can you choose the color of wood that will best match your decor, you can also choose options that are known for durability. American made furniture has a craftsmanship that you won’t find in big box stores. Mass produced furniture is designed and built for the greatest manufacturing efficiency, which means it’s often produced quickly and cheaply. Choosing furniture manufacturer in the US will provide you with items that will last for many years to come. And, of course, you have greater control over the design of each piece. While you can try your hand at designing furniture and bringing it to a manufacturer, it’s recommended you visit a showroom for inspiration. Rainbow Furniture allows you to browse and purchase items on display. 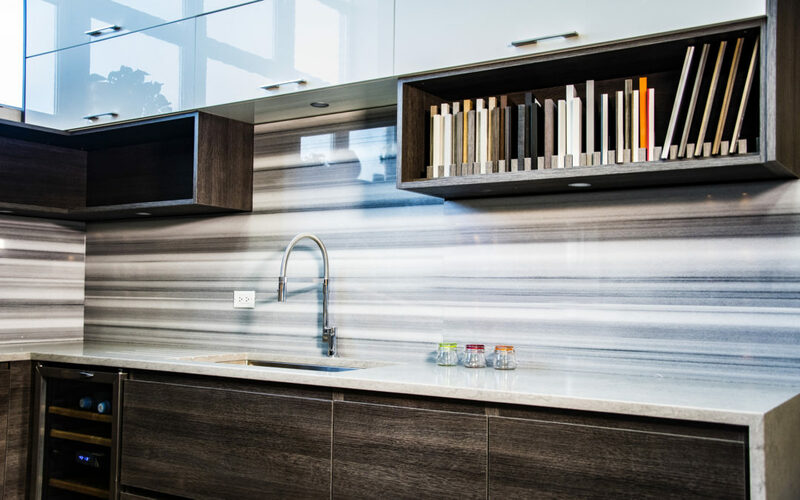 You can also customize anything you see to make it suit the vision of your luxury home. Learn more about our custom furniture options.